GST is now the only indirect tax levied on the supply of a majority of goods and services, replacing service tax, VAT, octroi, etc. GST is the biggest tax reform to be implemented in India in decades Organised players in unorganised sectors will gain market share as small unorganised players will not enjoy exemption benefits under GST. This will level the playing field between large and small players Logistics and transportation companies will benefit from lower costs and seamless movement of goods thanks to the abolishment of different state taxes Transportation companies will also face lower labour costs because of reduced checkpoints and warehouses This smallcase comprises companies anticipated to benefit from the implementation of GST. A low-cost version of this smallcase, without high-priced stocks, is also available here. GST is now the only indirect tax levied on the supply of a majority of goods and services, replacing service tax, VAT, octroi, etc. 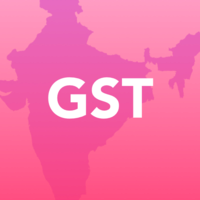 This smallcase comprises companies anticipated to benefit from the implementation of GST.